It´s not officially confirmed but rising cruiser Rakhim "the Machine" Chakhkiev might face former Contender participant Jaidon Codrington April 21 in Schwerin, Germany, on Universum´s big promotion headed by Karoly Balzsay´s defence of the WBA regular supermiddle title against Dimitri Sartison. Codrington, 20-2, is perhaps most famous for his losses to Allan Green and Sakio Bika and has been inactive since 2010. 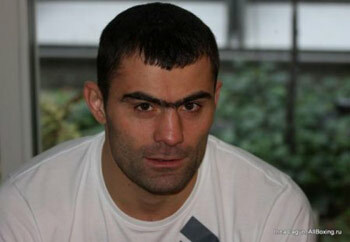 He´s never fought a fullblown cruiser but is likely to give Chakhkiev, Olympic Gold Medallist and 12-0, a good fight. It´s difficult to see him win though as "the Machine" appears to be the real thing.